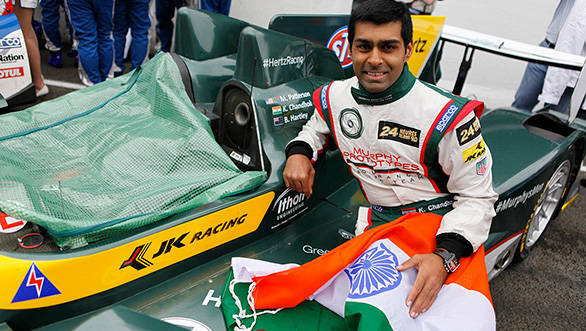 Karun Chandhok is all set to make his return to the 24 Hours of Le Mans. The Indian driver, whose first outing at the iconic race was with the JRM team in 2012, will now compete for a third year with Team Murphy Prototypes. Chandhok will partner drivers Nathanael Berthon and Mark Patterson, with the aim in his fourth Le Mans attempt being to get the Murphy Prototypes Oreca 03R Nissan to the podium. This is going to be a rather challenging feat, though, with the LMP2 category becoming more challenging this year, thanks to cars from Oreca, HPD and Ligier. Of course, Chandhok will continue to compete for Mahindra Racing in the FIA Formula E Championship, while also trying to balance his career in sportscar racing. "Le Mans is one of the greatest races in the world and my ambition to be the first Indian on the podium is still burning strongly within. I am happy to be back with Murphy Prototypes as we have always worked really well together. Nathanael was very quickly up to speed last year and now has a year of sportscar racing under his belt and Mark has improved a great deal from when we raced together in 2013 so I think we've got a strong line up. We had a lot of speed and potential in the last two years there but the results didn't work out for variety of reasons. Hopefully third time lucky," is what Chandhok had to say of his Le Mans return. Team owner Greg Murphy was excited about having Chandhok back with the team for another assault on the Le Mans 24 Hours, saying, "I'm really happy to have Karun back with us again. We work well together and we also drive each other mad, but it's because we have an equally strong ambition to succeed at the biggest race in the world. Apart from obviously being quick, Karun has proven to be a real team player for the past two years at Le Mans for us and this is the main reason I keep pushing for him to join the team. For the first time, we are heading to Le Mans with all three drivers having previous Le Mans experience and this is very important I think."